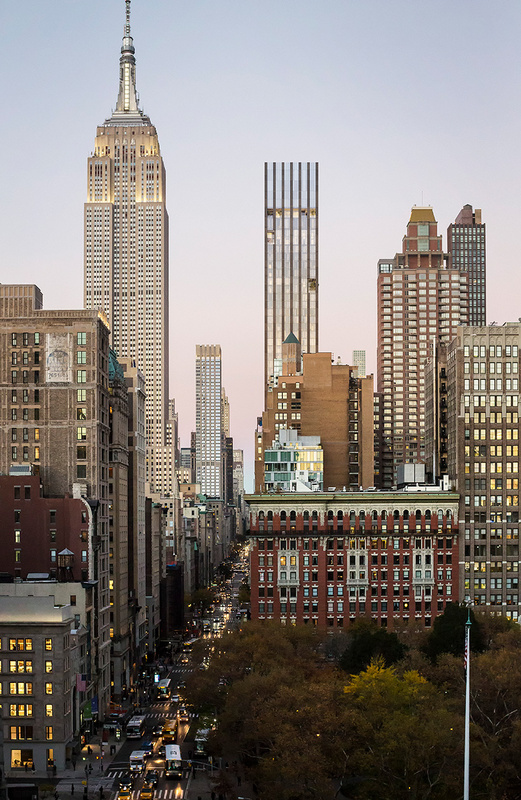 in march 2018, the developers behind ‘277 fifth,’ rafael viñoly’s latest new york tower, announced that the project had topped out at a height of 663 feet (202 meters). 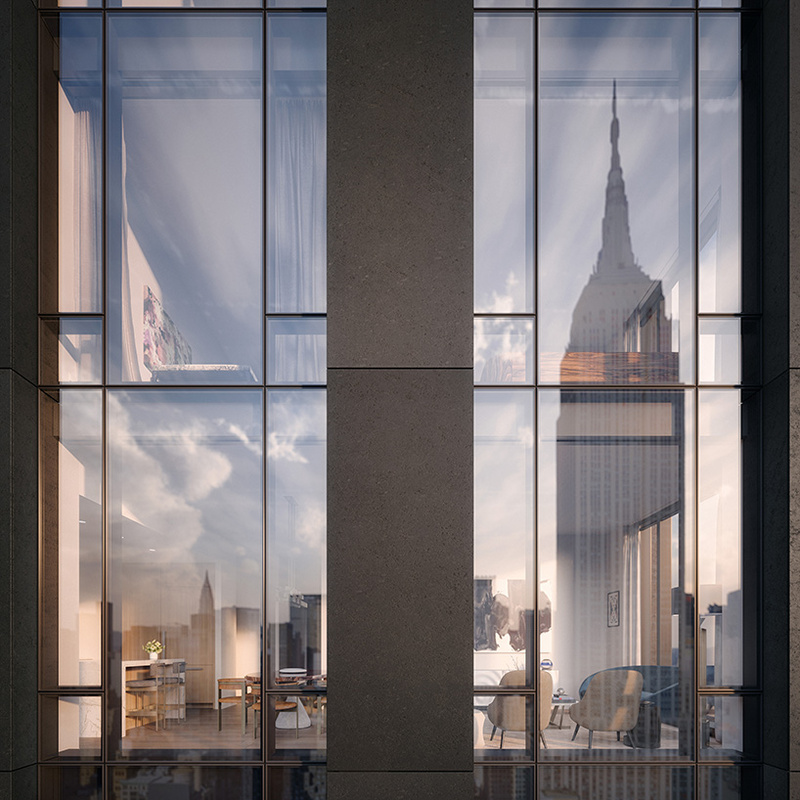 located in manhattan’s NoMad neighborhood, the 55-story structure will contain 130 luxury condominiums that offer sweeping views across the city via floor-to-ceiling windows. 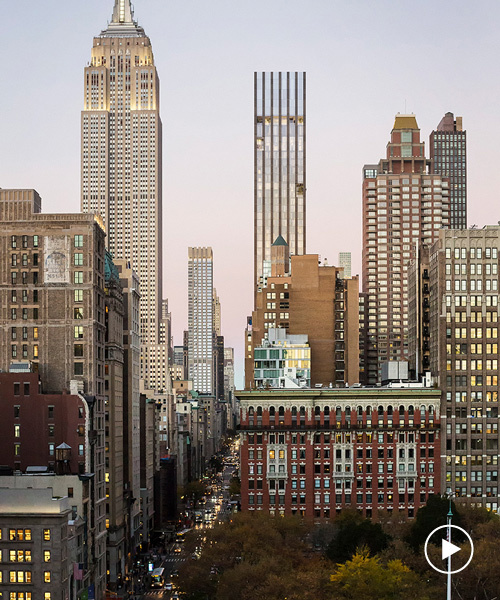 ‘we wanted to make a building that is timeless and that contributes to the ongoing transformation of fifth avenue — a unique and amazing promenade in the heart of new york city,’ explains viñoly, who discusses the project further in a new video at the top of this page. 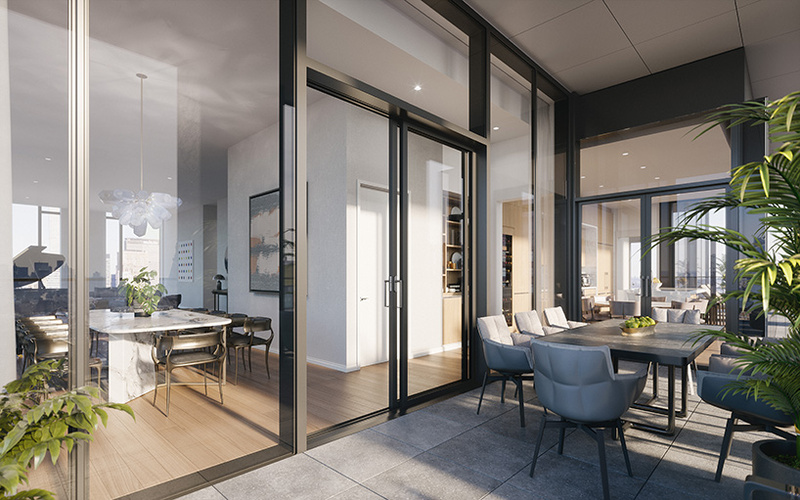 277 fifth is being developed by victor group and lendlease, with shokai serving as the project’s preferred equity investor. 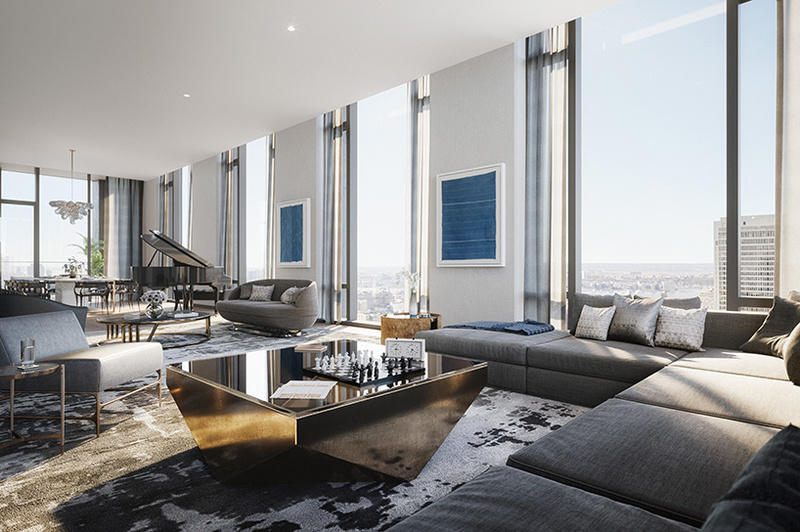 the high-rise features four loggias — sheltered, double-height, open-air spaces for leisure and entertaining. 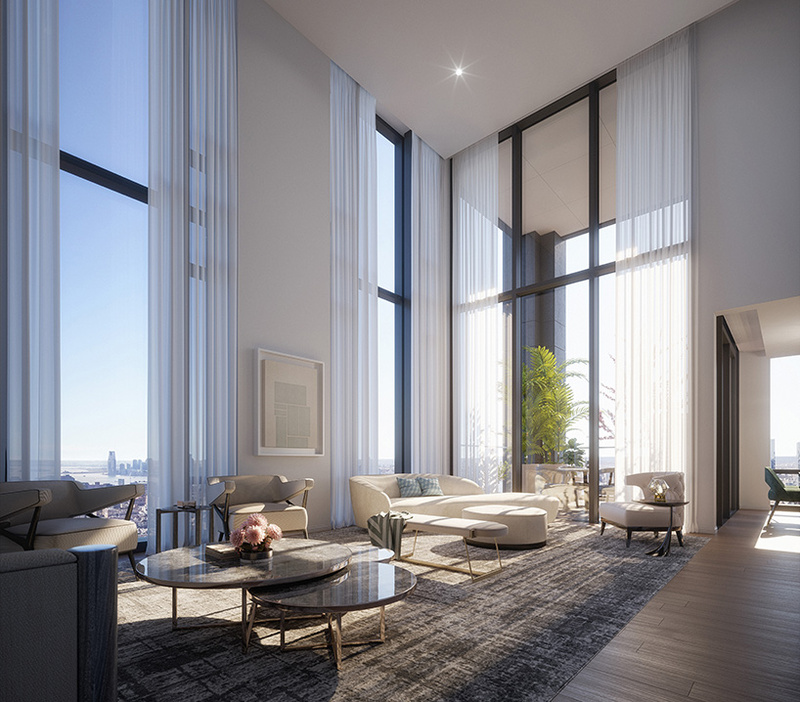 meanwhile, three penthouses — situated on the tower’s uppermost floors — each contain four-bedrooms with ceiling heights in excess of 13 feet and expansive living, dining, and family rooms. 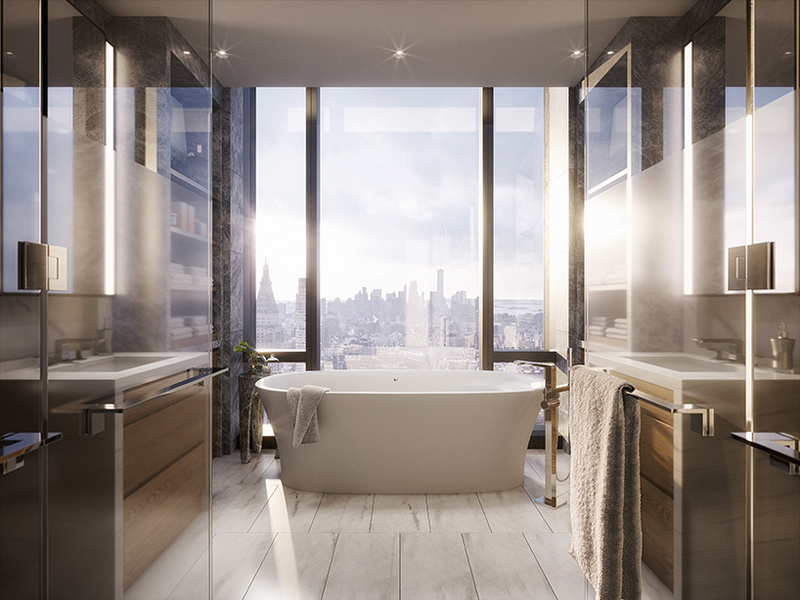 jeffrey beers international designed the interior layouts with wide plank american white oak flooring and custom appliances throughout. 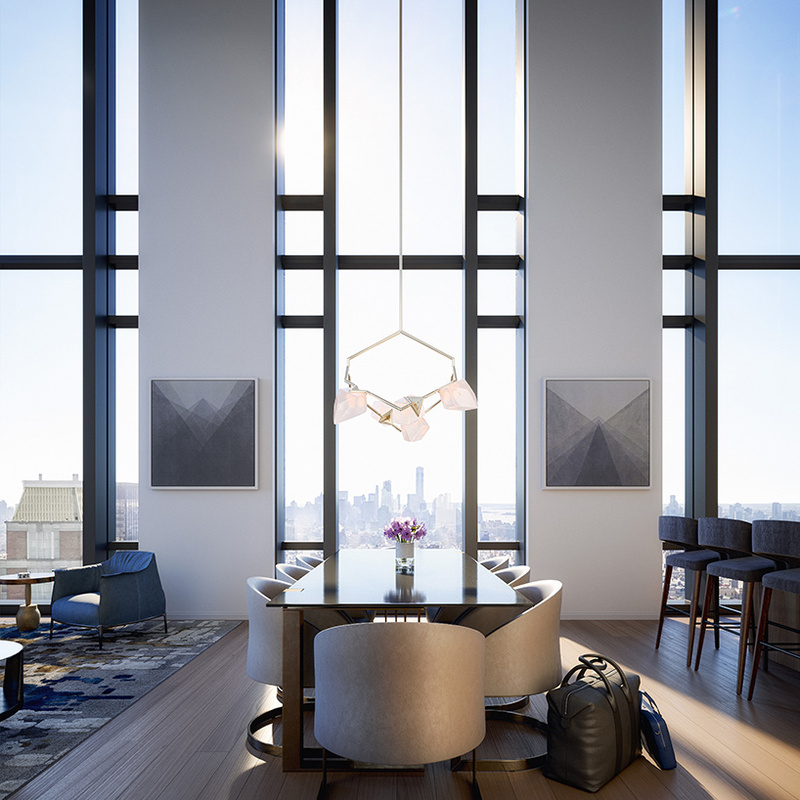 resident amenities comprise a lobby library with a double-height bookcase wall, an entertaining suite with separate bar and kitchen pantry, a private dining room, and a games lounge. 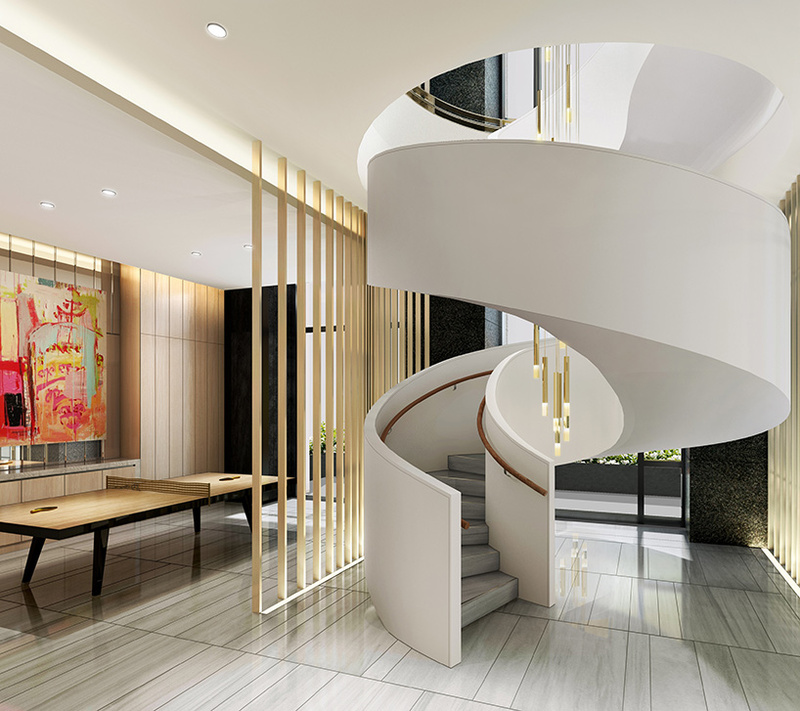 a fitness club with separate training/yoga studio as well as men’s and women’s spa with steam/sauna rooms is also included. 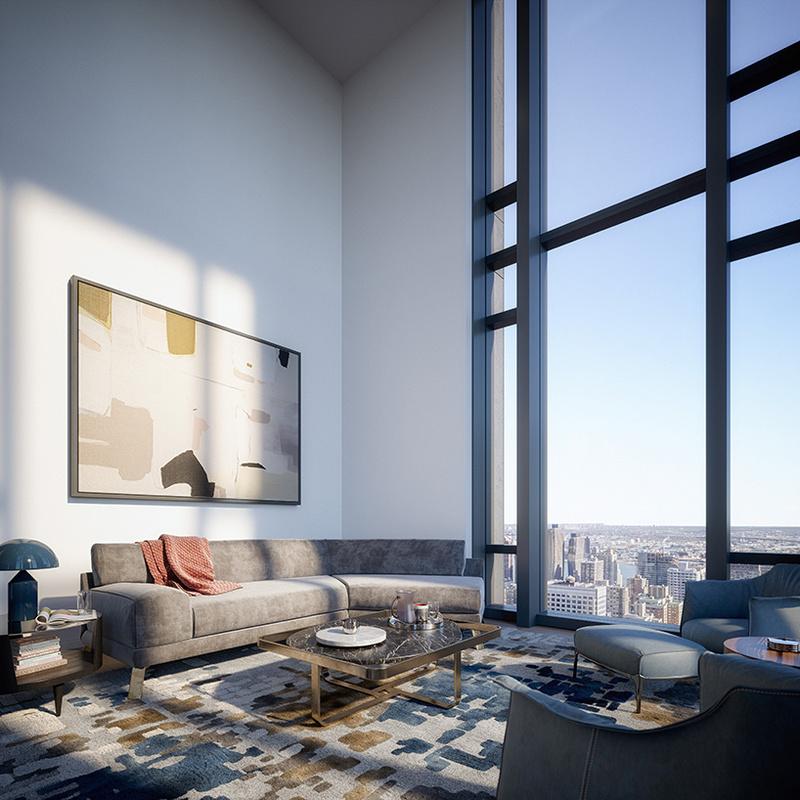 the full-service residences will also include private storage, bike storage, a pet priority program, a dry cleaning program and vehicle concierge, as well as full-time doormen. 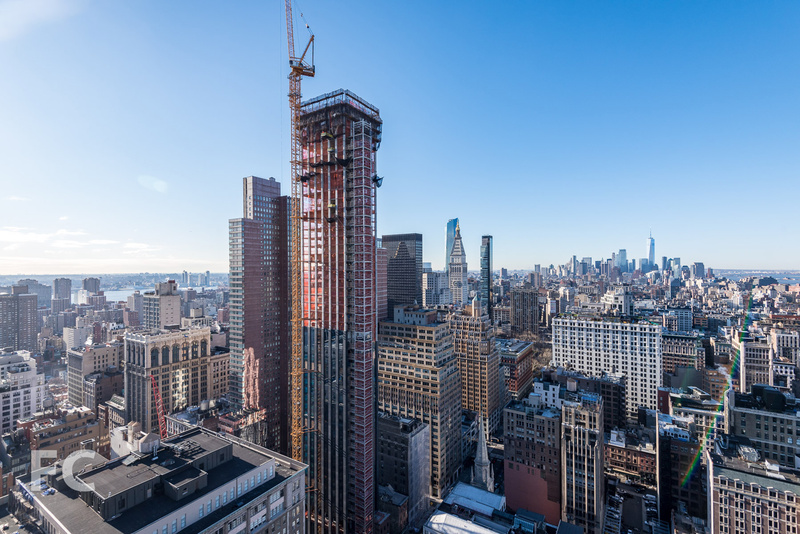 ran korolik, executive vice president of victor group, says: ‘the tower’s official topping out is an important milestone for all of the teams that continue to collaborate and bring the bold collective vision for this unique development to life.’ scott walsh, project director at lendlease, adds: ‘we’re thrilled that residents will be able to move-in within the year and begin to enjoy the one-of-a-kind lifestyle of 277 fifth avenue where the energy of downtown fuses with uptown elegance.’ residences at 277 fifth begin at $1.9 million USD. 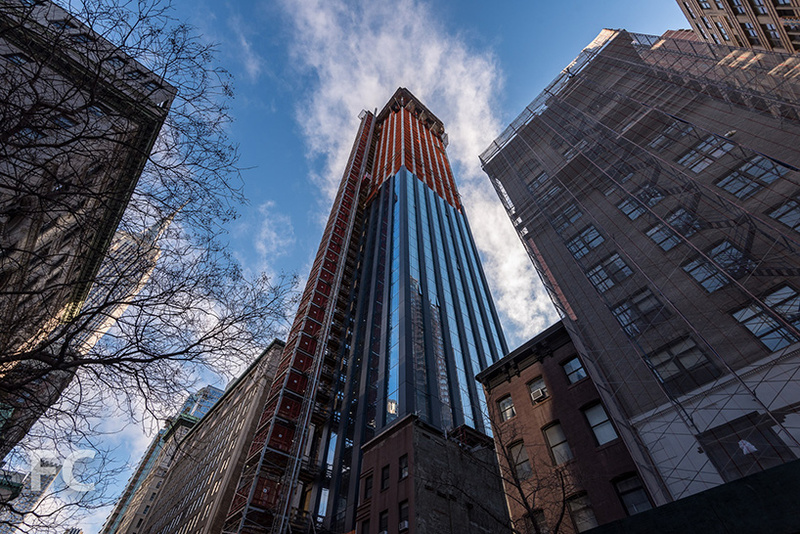 the building is set to complete in 2019.